Purple red, purple red, crimson. 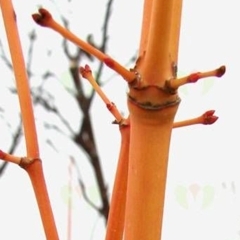 Bark on twigs and branches turns a vivid coral yellow with an orange overcast in winter. Red buds contrast with the bark.